Formal dining, upscale brunch, and fast bites were just a few of the many categories presented at the 36th annual Rammy Awards. The Rammys, also known as DC’s food prom, is an award show given by the Restaurant Association Metropolitan Washington (RAMW), led by Kathy Hollinger, for DC’s most popular, notable, and up and coming restaurants and patisseries. 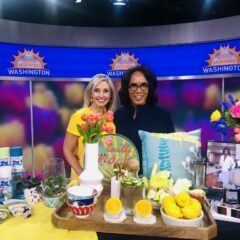 The award show was no longer than two and a half hours and consisted of a constant flow of excitement and many esteemed Washingtonians presenting these well-deserved awards. 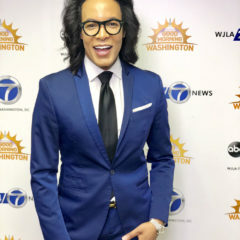 Paul Wharton presented along with local news contributors and journalists and the Mayor of DC, Muriel Bowser. The winners gave heartfelt speeches, most of which consisted of them thanking their customers, families but most of all their employees. Employees being the true driving force behind any restaurant received the most praise due to the upcoming vote on Ballot Initiative 77 on June 19th. Ballot Initiative 77 is an initiative that seeks to eliminate the tipped minimum wage in all restaurants nationwide. Speaking of DC exclusively, 90% of our restaurants are small, independent businesses whose workers thrive off of tips. In 2017 statistics showed that all restaurant employees in the metropolitan area made at or above DC minimum wage. Many Rammys presenters emphasized the negative impact Initiative 77 would have on restaurant employees’ ability to support themselves and their families. 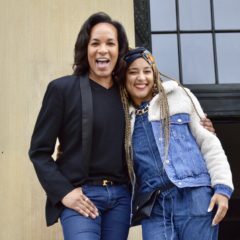 On a lighter note Presenter and our very own style guru Paul Wharton, emphasized on the positive impact the DC Pride parade had on all of the local restaurants! DC was overflowed with love and allied support this past weekend as so were the majority of local restaurants and patisseries. In light of all of this Paul Wharton made sure to give a special thank you to the fabulous LGBTQA+ community. RW Restaurant Group’s Robert and Polly Wiedermeir attend The Rammys along with Paul Wharton and friend. The afterparty was bustling with DC’s finest shaking it up on the dancefloor. DJ Neekola brought the bass with an incredible playlist and the bars were all open. The food was provided by local restaurants, some of which won awards and let me tell you, it was delicious! Overall the Rammys experience was one for the books. Don’t forget to vote No on Initiative 77, June 18.